Make a right strategy- From 680 to 730 in 12 Weeks! As much as I owe to this forum I decided to put my game plan and what worked for me in my second attempt scoring 730(Q50, V38, IR 7, AWA 5). In my debrief I will focus on lessons learnt. Please pay special note on them as I believe they were key to my success and hopefully yours as well. The "will" to go for MBA struck quite late to me last year around August. Having looked into my Target B Schools Application deadlines I decided that I need to take GMAT by November to realistically give me a chance to put a strong application for R-2 applications. Moreover my work gets particularly hectic from Oct-Dec(around 60 hrs/week) and hence I do not want to delay it further. I had given GRE around 6 years back and scored a 326/340 so I started with a bit of over confidence. From that experience I knew that using a right material is key to success on adaptive exams. I attended one of the @e-gmat webinars and like the "understand the meaning" approach and hence signed up for Verbal and Quant Online. However with around 3 months of semi-intense preparation I scored a disappointing 680(Q49, V34, IR 7, AWA 5). I took a long break of 5 months and re-started my preparation in March 2nd week. During this time I applied in 2 of my target schools and got dinged from both. After speaking to few consultants I realized the main driver was my "average" GMAT score for the schools that I applied. I was apprehensive to start all over again. Do I have to put in same amount of efforts to get to 680 and then go from there to make 740? It's been a long break and I certainly do not remember most of the SC concepts I learnt. However I had no other option and excuse to not to re-take. I knew I would not do justice to my MBA dreams with a one time semi-intense and hasty preparation. Before even jumping into a preparation mode I summarized what were the lessons learnt in my first attempt. 1) GMAT is not a 6-9 month preparation exam. One needs intense(15-20 hrs/week) of 3-4.5 months and that should suffice with right material and strategy. 2) Aim for atleast 20 points higher than the average GMAT of your target schools. Make no mistake GMAT is one of the most important parameter to decide your final outcome. 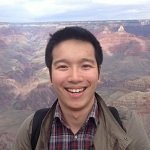 I have a good profile(5 years of international experience and have been working for Tier 1 tech company for the past 2 years, Good GPA's, MS from Top 10 US schools and my post MBA goal were in line with my past background). In spite of that I did not made to any of the programs I applied. While interviews could have been better I knew the major factor is below par GMAT score. 3) Breaking the target right - Never target Q51 and then back calculate Verbal target even if you are quant wizard. Everyone knows what is their Target score based on their target schools and time he/she can spent. I realized the need to hit atleast 700 given I don't have much time left for R-2 applications. Some of the mistakes I made were - targeting 700(when I should have 720), and calculating the min Verbal score I need to get there. Why? Targeting Q51 adds unnecessary pressure to solve each and every question without second guessing. If you are stuck in some question that took 4-5 min and still unable to solve you are dead from both end- you are lagging on time, and you cannot guess on any other question. Thus set a target of Q50 even if you are good in maths. If you get Q51 take it as a bonus. Another question that I kept pondering was how many questions I can get wrong and still score Q51. While GMAT is adaptive and first 10 questions are more important if I leave several if's and but's based on my mocks(official gmat prep) I can tell you not more than 2! In two of my gmat prep mocks I had 3 questions wrong (Between 10-15, 25-30 and 31-37) and even then scored Q50. So again do not start with Q51 as a target. If you are decent in maths set Q49. There is a step change in Q49 and Q50. You can get upto 8-9 questions wrong and still score Q49 which in my knowledge is very achievable if you have engineering background or you are decent at math. Thus never settle for less than Q49. In case you struggle in math but good in verbal the same logic applies- Never over-kill or under-kill the initial target score. 4) 8 mins mid section exam break time is too short- You need to re-scan your palms and validate empty pockets before invigilator allows you inside exam room. You wont have watch during break time. In my first attempt when I took my first break and went to re-check there was one more person in front of me. Moreover palm scan, empty pockets, invigilator logging her credentials to unlock system took around 2-3 min. When I started Quant the clock said you have now 72 mn left! That just panicked me out and I rushed through first few to get close to my target time. Result- Q49 when I was scoring Q50/51 in mocks. Thus while giving mock give yourself 5 min break to have a mental clock. 5) Do not follow this linear preparation strategy: Verbal-> Quant-> Mock. Rather a lopped one: Verbal- Quant and Verbal Practice - Mock. This is esp for those whose verbal is major challenge. In my last attempt I went for a full fledged 2 week quant without touching verbal. Result I felt under-confident going into Mocks. Also I forgot a lot of skills I gained in SC. I had faith in e-gmat material. I would recommend not to jump through different materials. All top(*) courses are designed to build your skills to get you 760+ if not more. Unless you had put your heart out last time and the result was drastic compared to your expectations, changing courses won't help you. Infact sticking to same course is better to quickly build on same skills where you ended in your last attempt. Also this time I wanted to build a aggressive strategy. I liked @e-gmat Verbal live 6 week course. While verbal live won't do wonders it will help you remain focused and aggressive. My strategy was 6 weeks verbal followed by 3 week Quant/Verbal Practice (notice how I added 1 week in Quant to give myself time to practice verbal everyday) followed by Mocks. Week 1.5-4 - SC+ 7 CR Questions/day (e-gmat Scholarium). 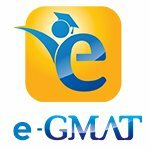 SC again E-gmat videos and OG. Please make notes on SC for later references. I made one in excel as it was easy to maintain and accessible 24X7. Week 5.5-6- Full mode Verbal Practice. Completed remaining OG Questions. Revised all my SC notes +error log till date. It is important to spend some bucks and buy GMAT Prep Exam Pack 1 and 2. Believe me it is worth it. MGMAT tests Quant is quite tough comparatively and if you are scoring Q48-49's you will keep wasting time on Quant when you already are at Q50-51's. Moreover post you quant section you will feel the mental heat as it keeps throwing you challenging questions and psychologically you will start verbal section demotivated thinking that you had to guess on 4-5 questions. 6)Stay close to Official material at the end stage- Buy GMAT Prep Exam Pack to give you more practice if needed instead of other material. Also practice from link I am sharing below. 7) E-GMAT Scholarium Quant is too challenging if one includes "Very Hard"Questions. I use to give myself short burst of 15 questions exam. I was surprised that I had 4-5 Very Hard, 5-6 Hard, 1-2 Medium and 1-2 Easy Questions. In short exams it completely throws you off the time. Thus I started to un-check "very hard" questions. If I had time on weekends I will for fun solve them without timing constraint. These questions are 750+ and even in actual gmat for Q50/Q51 you wont get more than 2 such questions. My overall ability in Quant Scholarium was around 90-92%(this includes around 400 questions data set and I use to exclude "very hard" questions). So if you exlcude "Very Hard" the measure of your ability is quite accurate to actual GMAT Quant. 8) Pre- thinking in CR is good but do not waste time if you cannot in 10-15 secs. Please note I am deviating here from what E-gmat experts recommend. During my mock analysis I realized I end up taking too much time on pre-thinking and then had to rush on other questions. In an exam if I had around 13 CR question I was able to pre-think on 9 but on other 4 I will understand the logical structure of the argument (very important) and then move on to options. This strategy worked for me. In mocks I was consistently scoring between 720-750. Moreover I used to give mocks on weekends and during week I will use egmat scholarium or previous official gmat prep questions(available here https://gmatclub.com/forum/the-most-com ... 40372.html ; https://gmatclub.com/forum/the-most-com ... 40375.html. I would like to mention that the above official gmat prep questions were the game changer for me. For every wrong question I would check the answers on gmat club. There is 99.99% probability that the question has been discussed. The explanation were great. I diligently kept updating the Error Log based on right rules applications etc discussed on gmat club from these files. Also as stated before along with concept I added the entire question to solidify the application of this concept during my revision. By the end of my preparation and start of mocks I was hitting 80% accuracy in SC and CR and around 75% accuracy in RC. This was also consistent with Scholarium data ( thus Scholarium is quite a good indicator of your verbal ability as well). I frequently use to revise my Verbal and Quant notes as well as the Error Log(like once in 2 weeks). I took my exam date 2 weeks out after getting successive scores of 720 in GMAT Prep. I was targeting 740. Week 13- 4 days before my GMAT I took off from work. I wanted to give myself ample of rest. I took one last GMAT Prep Exam 6 3 days prior to my exam and scored 730. Spent next 2 days in revising my entire notes and Error Log and took some extra rest. I was happy to see a score of 730 which was close to my target score. I will share my exam experience in another post. Enough for now! If you need any specific help you can comment and I will address them. Originally posted by ag111 on 09 Jul 2017, 18:40. Last edited by ag111 on 17 Jul 2017, 12:15, edited 4 times in total. Congratulations and thank you for sharing your story in a great and organized way! This is a very good point. It is more essential that you understand the logic in the argument than that you be able to come up with matching answers on your own. It is possible and advisable to think ahead what directions the answer can go, but this is the point where you should move on to answer choices unless you have a lot of time to practice and are aiming really high! Thank you for sharing your experience and congratulations! ag111 - Congratulations on scoring 730. I really like how your personalized your plan based on your needs, staring with Critical reasoning, then moving on to Sentence Correction, RC, and finally concluding with focused practice. You are now competitive for most schools so focus on building a rock solid application. Reach out to the support team (if you haven't already) to get a jump start. There may be some goodies in store for you. Also I agree that you can ace the GMAT in less than 3 months if you have the right plan and make decisions based on data. I am sure that the exercise of acing the GMAT will have helped you prepare for challenges ahead. Good luck for the future!! Ah... good error log. I did go through the same passed the inputs on to the team. Do let me know if we can schedule a one on one.